A federal jury in New York City today convicted the head of a nongovernmental organization (NGO) based in Hong Kong and Virginia on seven counts for his participation in a multi-year, multimillion-dollar scheme to bribe top officials of Chad and Uganda in exchange for business advantages for a Chinese oil and gas company, announced Assistant Attorney General Brian A. Benczkowski of the Justice Department’s Criminal Division and U.S. Attorney Geoffrey S. Berman of the Southern District of New York. Chi Ping Patrick Ho, aka "Patrick C.P. 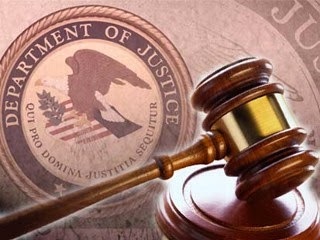 Ho," aka "He Zhiping," of Hong Kong, China, was found guilty today after a one-week jury trial before U.S. District judge Loretta A. Preska in the Southern District of New York of one count of conspiring to violate the Foreign Corrupt Practices Act (FCPA), four counts of violating the FCPA, one count of conspiring to commit international money laundering and one count of committing international money laundering. Ho is scheduled to be sentenced before Judge Preska on March 14, 2019, at 10:00 a.m. EDT. According to evidence presented at trial, Ho was involved in two bribery A federal jury in New York City today convicted the head of a nongovernmental organization (NGO) based in Hong Kong and Virginia on seven counts for his participation in a multi-year, multimillion-dollar scheme to bribe top officials of Chad and Uganda in exchange for business advantages for a Chinese oil and gas company, announced Assistant Attorney General Brian A. Benczkowski of the Justice Department’s Criminal Division and U.S. Attorney Geoffrey S. Berman of the Southern District of New York. Chi Ping Patrick Ho, aka “Patrick C.P. Ho,” aka “He Zhiping,” 69, of Hong Kong, China, was found guilty today after a one-week jury trial before U.S. District Judge Loretta A. Preska in the Southern District of New York of one count of conspiring to violate the Foreign Corrupt Practices Act (FCPA), four counts of violating the FCPA, one count of conspiring to commit international money laundering and one count of committing international money laundering. Ho is scheduled schemes to pay top officials of Chad and Uganda in exchange for business advantages for CEFC China, a Shanghai-based multibillion-dollar conglomerate that operates internationally in multiple sectors, including oil, gas, and banking. At the center of both schemes was Ho, the head of a nongovernmental organization based in Hong Kong and Arlington, Virginia, the China Energy Fund Committee (the “CEFC NGO”), which held “Special Consultative Status” with the United Nations (UN) Economic and Social Council. CEFC NGO was funded by CEFC China. According to the evidence presented at trial, in the first scheme (the “Chad Scheme”), Ho, on behalf of CEFC China, offered a $2 million cash bribe, hidden within gift boxes, to Idriss Déby, the President of Chad, in an effort to obtain valuable oil rights from the Chadian government. In the second scheme (the “Uganda Scheme”), Ho caused a $500,000 bribe to be paid, via wires transmitted through New York, New York, to an account designated by Sam Kutesa, the Minister of Foreign Affairs of Uganda, who had recently completed his term as the President of the UN General Assembly. Ho also schemed to pay a $500,000 cash bribe to Yoweri Museveni, the President of Uganda, and offered to provide both Kutesa and Museveni with additional corrupt benefits by “partnering” with them in future joint ventures in Uganda. According to the evidence presented at trial, the Chad Scheme began in or about September 2014 when Ho flew into New York, New York to attend the annual UN General Assembly. At that time, CEFC China was working to expand its operations to Chad and wanted to meet with President Déby as quickly as possible. Through a connection, Ho was introduced to Cheikh Gadio, the former Minister of Foreign Affairs of Senegal, who had a personal relationship with President Déby. Ho and Gadio met in midtown Manhattan, New York where Ho enlisted Gadio to assist CEFC China in obtaining access to President Déby. Gadio connected Ho and CEFC China to President Déby. In an initial meeting in Chad in November 2014, President Déby described to Ho and CEFC China executives certain lucrative oil rights that were available for CEFC China to acquire. Following that meeting, Gadio advised Ho and CEFC China to send a technical team to Chad to investigate the oil rights and make an offer to President Déby. Instead, Ho insisted on a prompt second meeting with the President. The second meeting took place a few weeks later, in December 2014. Ho led a CEFC China delegation, which flew into Chad on a corporate jet with $2 million cash concealed within several gift boxes. At the conclusion of a business meeting with President Déby, Ho and the CEFC China executives presented President Déby with the gift boxes. To the surprise of Ho and the CEFC China executives, President Déby rejected the $2 million bribe offer. Ho subsequently drafted a letter to President Déby claiming that the cash had been intended as a donation to Chad. Ultimately, Ho and CEFC China did not obtain the unfair advantage that they had sought through the bribe offer, and by mid-2015, Ho had turned his attention to a different “gateway to Africa”: Uganda. According to the evidence presented at trial, the Uganda Scheme began around the same time as the Chad Scheme, when Ho was in New York, New York for the annual UN General Assembly. Ho met with Sam Kutesa, who had recently begun his term as the 69th President of the UN General Assembly (“PGA”). Ho, purporting to act on behalf of CEFC NGO, met with Kutesa and began to cultivate a relationship with him. During the year that Kutesa served as PGA, Ho and Kutesa discussed a “strategic partnership” between Uganda and CEFC China for various business ventures, to be formed once Kutesa completed his term as PGA and returned to Uganda. In or about February 2016 – after Kutesa had returned to Uganda and resumed his role as Foreign Minister, and Yoweri Museveni (Kutesa’s relative) had been reelected as the President of Uganda – Kutesa solicited a payment from Ho, purportedly for a charitable foundation that Kutesa wished to launch. Ho agreed to provide the requested payment, but simultaneously requested, on behalf of CEFC China, an invitation to Museveni’s inauguration, business meetings with President Museveni and other high-level Ugandan officials, and a list of specific business projects in Uganda that CEFC China could participate in. In May 2016, Ho and CEFC China executives traveled to Uganda. Prior to departing, Ho caused the CEFC NGO to wire $500,000 to the account provided by Kutesa in the name of the so-called “foundation,” which wire was transmitted through banks in New York, New York. Ho also advised his boss, the Chairman of CEFC China, to provide $500,000 in cash to President Museveni, ostensibly as a campaign donation, even though Museveni had already been reelected. Ho intended these payments as bribes to influence Kutesa and Museveni to use their official power to steer business advantages to CEFC China. Ho and CEFC China executives attended President Museveni’s inauguration and obtained business meetings in Uganda with President Museveni and top Ugandan officials, including at the Department of Energy and Mineral Resources. After the trip, Ho requested that Kutesa and Museveni assist CEFC China in acquiring a Ugandan bank, as an initial step before pursuing additional ventures in Uganda. Ho also explicitly offered to “partner” with Kutesa and Museveni and/or their “family businesses,” making clear that both officials would share in CEFC China’s future profits. In exchange for the bribes offered and paid by Ho, Kutesa thereafter steered a bank acquisition opportunity to CEFC China. This case was investigated by the FBI and IRS-CI. U.S. Immigration and Customs Enforcement’s Homeland Security Investigations and the Department of Justice, Criminal Division’s Office of International Affairs provided assistance. Trial Attorney Paul A. Hayden of the Criminal Division’s Fraud Section, FCPA Unit and Assistant U.S. Attorneys Douglas S. Zolkind, Daniel C. Richenthal and Catherine E. Ghosh of the U.S. Attorney’s Office for Southern District of New York’s Public Corruption Unit and the Criminal Division’s Fraud Section are prosecuting the case. The Fraud Section is responsible for investigating and prosecuting all FCPA matters. Additional information about the Justice Department’s FCPA enforcement efforts can be found at www.justice.gov/criminal/fraud/fcpa.